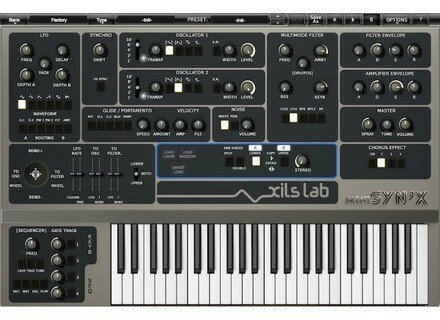 miniSyn'X, Virtual hybrid synth from XILS-lab. 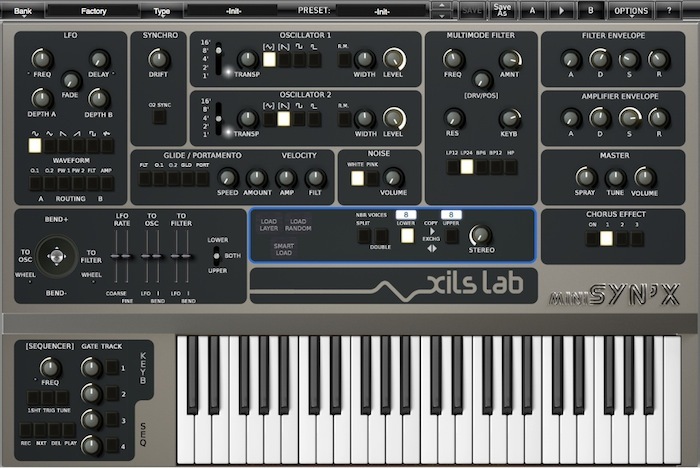 With the new MiniSyn’X, Xils Lab reproduces a famous Italian polyphonic synthesizer from the 80s that used DCOs and VCF. MiniSyn’X features two independent synthesis engines that you can use to stack or split the sounds, possibilities are wide. And as always, Xils Lab takes advantage of the digital world and goes beyond the original design with added features. MiniSyn’X is available for Mac OS X and Windows. You can purchase it until April 17th for the introductory price of 45 € instead of 59 €. A trial version is also available at www.xils-lab.com. Note that this plug-in is secured by a serial only, you don’t need any iLok key/account. Crypton Megurine Luka V4X virtual singer Crypton Future Media launched Megurine Luka V4X, a new virtual singer that know both English and Japanese. 60% off SoundRadix Pi SoundRadix celebrated a few days ago the international Pi day with a special sale on its Pi plug-in that runs until March 28th.